A manufacturer of hygiene products for over 50 years, Netherlands-based company Dreumex has grown to become a leading European supplier of heavy-duty hand cleansing and hand care products. 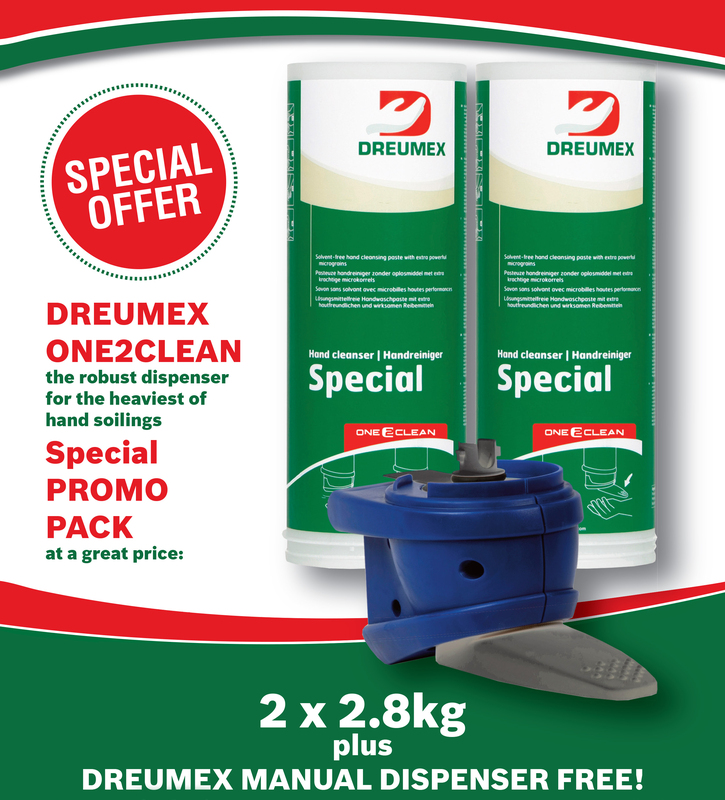 Thanks to a combination of expertise and experience, Dreumex has developed a total package of cutting-edge, high-quality products that protect, clean and care for hands. The brand’s extensive range of products offers a solution for every work situation and is particularly suited to garages and workshops.